Many times clients of SoapLab asked us if we were able to take back the containers (plastic) and recycle them. I know that we were suppose to be all natural and we shouldn't have to 'throw' these plastics away. Unfortunately we cant take them back and recycle as we are dealing with cosmetic ingredients and we need the bottles to be sanitised before we could reuse them. 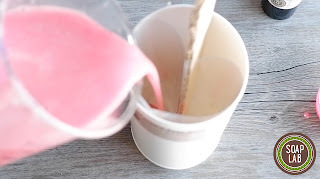 If we reused them as is without proper cleaning; it will effect the shelf life of the new ingredients added in. Even if it was just oil; it can speed up the rancidity of the new oil and therefore for those reasons; we cant take them back to recycle them. 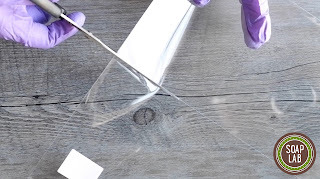 Sanitizing them turned out to be very costly. It could mean that we needed to charge you; our clients to 'take it back' and since it wasn't cost effective; we decided not to do it. We also tried to look for a organisation that could take the recycle bottles from us but after having various meetings with few of them; we noticed that most already have too many in hand and since we didn't want to add to their burden; we decided to 'figure' it out ourself. So after few brainstorming; we came up with some ideas and i thought i would show you in a series of 'recycle tips' #SoapLabRecycleTips on what to do with these empty bottles. Take 2 empty 1L containers. 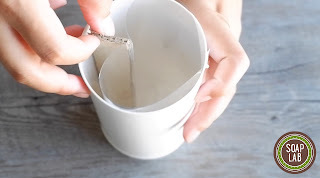 Using a box cutter, cut off the containers like so. 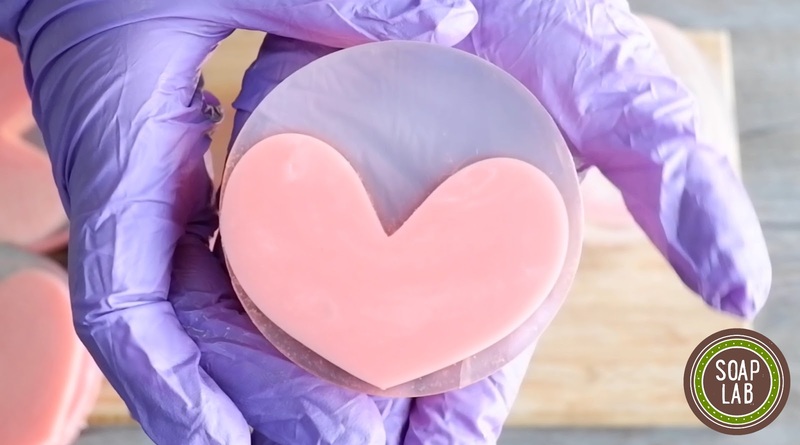 Before pouring in the soap, check for sizing. Place the PVC Sheet in the cut off container. Add in a cardboard strip to provide reinforcement on the cleft of the heart. 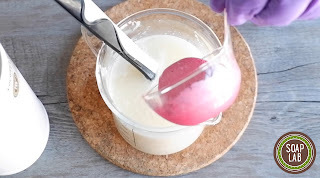 Prepare Soap Base. 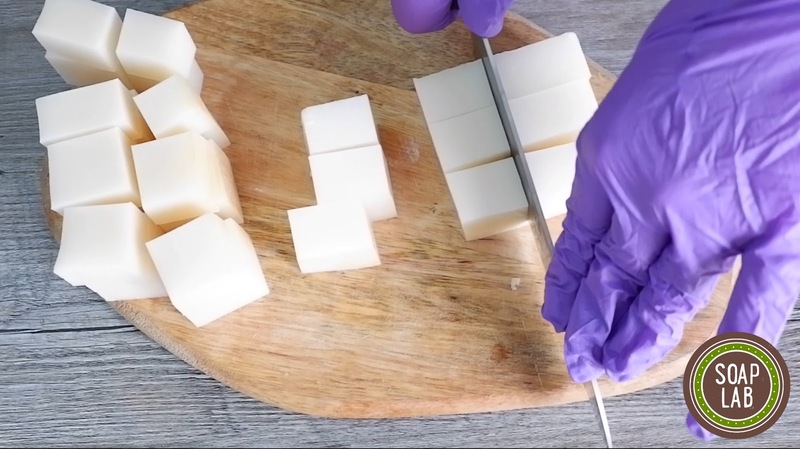 Cut 400g of SoapLab’s Opaque White Soap Base into little cubes, the smaller the cubes the faster it will melt. Place container in the microwave. 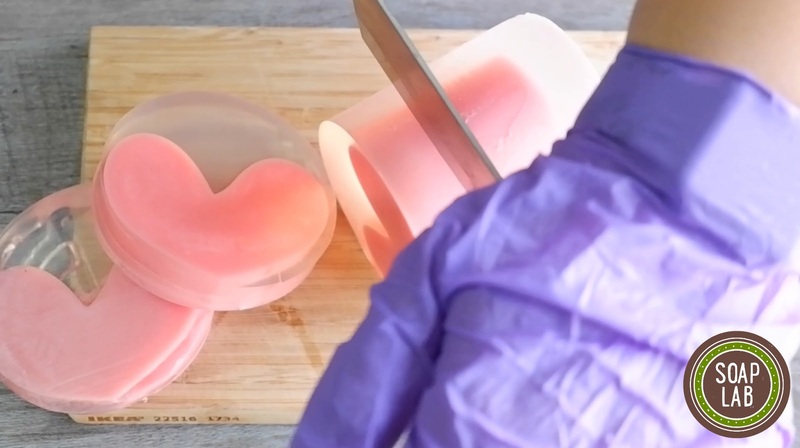 Melt them at 20 seconds interval. Check during each intervals, this is to avoid your soap from getting burnt. 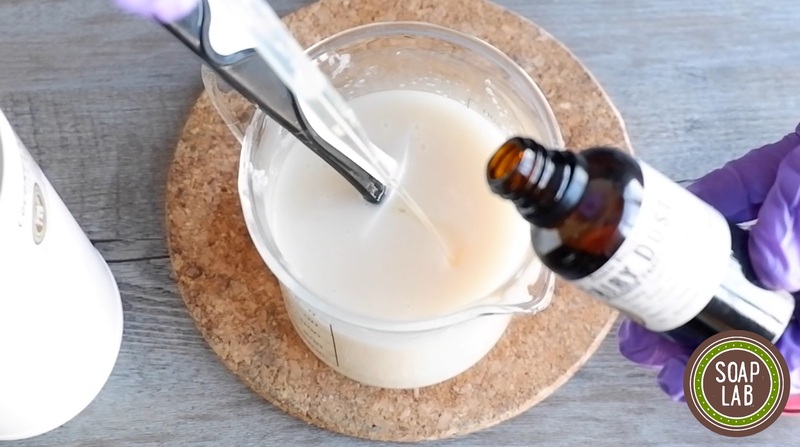 Once everything is melted, add in 15g of Fairy Dust Designer Fragrance Oil into the melted soap. 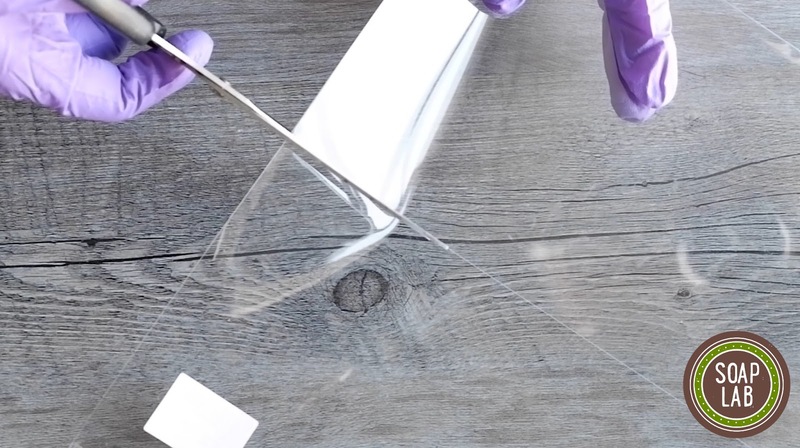 Use a pipette for easy measuring & dispensing. 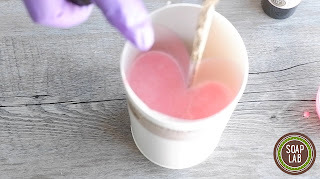 Add in Peach Pink Mica that has been diluted with some glycerin into the soap mixture. Mix everything using a spatula. 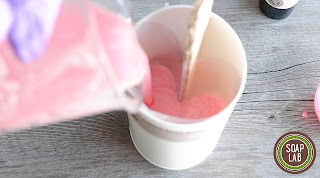 Pour soap mixture into the mold until it is about 2cm in height. Leave soap aside to harden. This will provide a secure base for the rest of the soap. 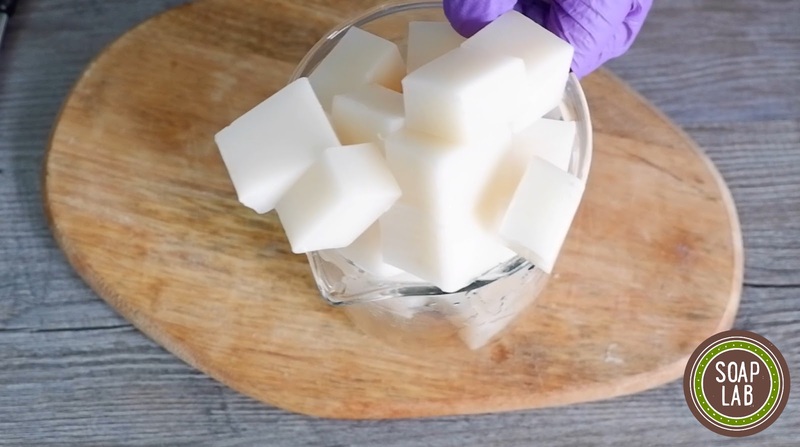 Once harden, pour in the rest of the soap mixture. 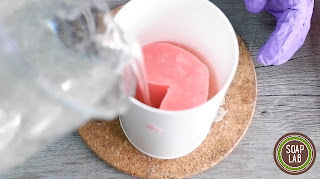 Spray soap with some rubbing alcohol to remove any air bubbles. Leave soap to harden (6-12hours). 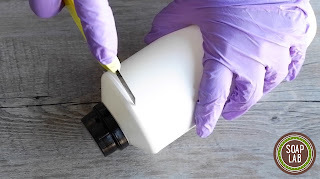 Once ready, remove soap from the container. 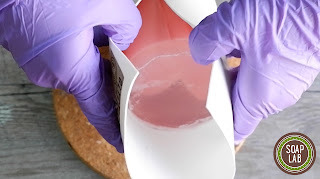 Peel off the PVC Sheet from the soap carefully. 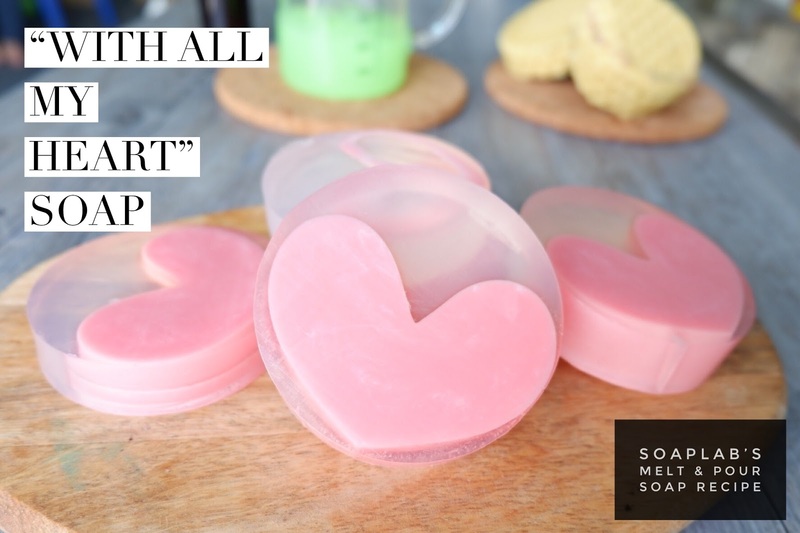 Repeat steps 4 & 5 with SoapLab’s Transparent Soap Base. 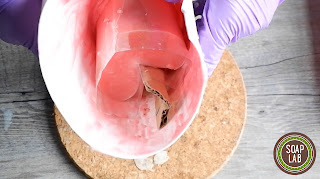 Once melted, add in more Fairy Dust Designer Fragrance into the melted soap. Mix with a spatula and allow for the mixture to cool slightly. 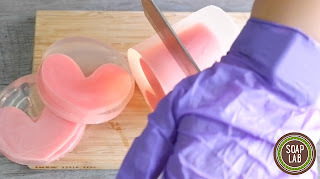 Place heart shaped soap into another cut off 1L container. Then, add in the transparent soap mixture. 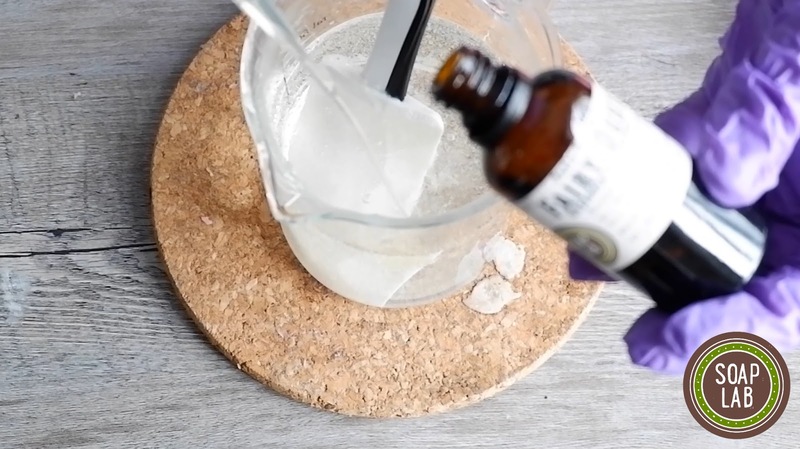 Spray again with rubbing alcohol to remove bubbles. Leave soap to harden for 12to 24 hours. Once ready, remove soap from the container carefully. Using a normal kitchen knife, cut soap into desired size. Hope you enjoy this as much as i do guys..